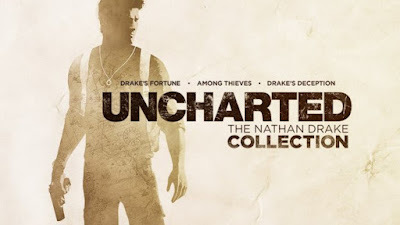 Uncharted is a game series I've always wanted to like but every time I tried it I found it feeling extremely generic. But, I had only played it in demo form or in passing at friends' houses. I thought that with my Gamefly sampling it would be a good chance to actually try to dig into the series. The Uncharted Collection has the first three games in the series in it, so I started with the first and quickly found that it hadn't aged very well. I moved on to Uncharted 2 and loved the way it started. Finding the protagonist hanging off the edge of a cliff on a train was awesome and I loved the sequence that followed. Unfortunately it then jumped back in time and quickly became another generic feeling game (especially once you hit the jungle). I followed a similar path with Uncharted 3 and then promptly returned the game. Overall, I played roughly the first 15-20% of each of the games. When the story is moving forward and the set pieces are cool I had a really good time. But all the time in between seems like filler. The combat is lackluster and doesn't have any punch. The platforming feels slow, outdated, and clunky. And the environments often fall back on old tropes. I bet there's a game in here that is about 1/6th the total length (with all the filler cut out) that I would love to play through in one night. But, that's not what this series is. At least now I know it's really not for me.